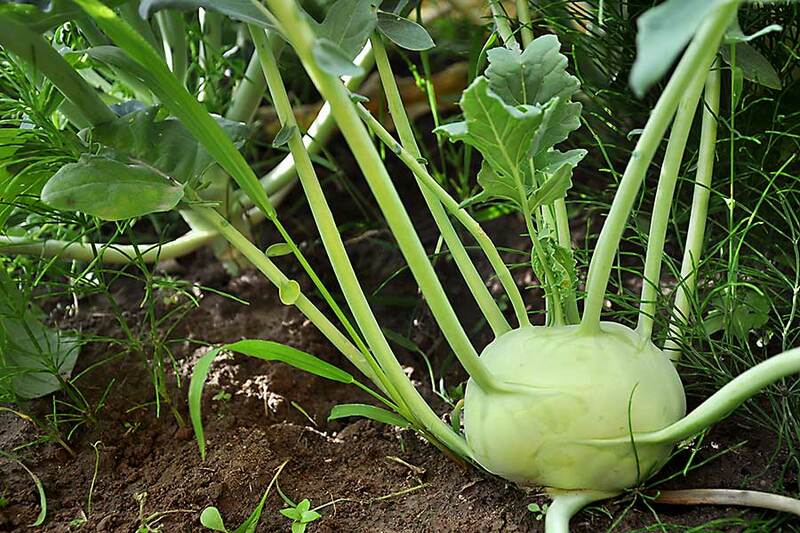 Kohlrabi is a variety of cabbage. The edible part is an overgrown, thickened stem and young leaves. The skin is not suitable for eating and should be peeled before eating. It comes in two types: green and purple but the pulped flesh is always white. Violet is slightly stronger in taste. 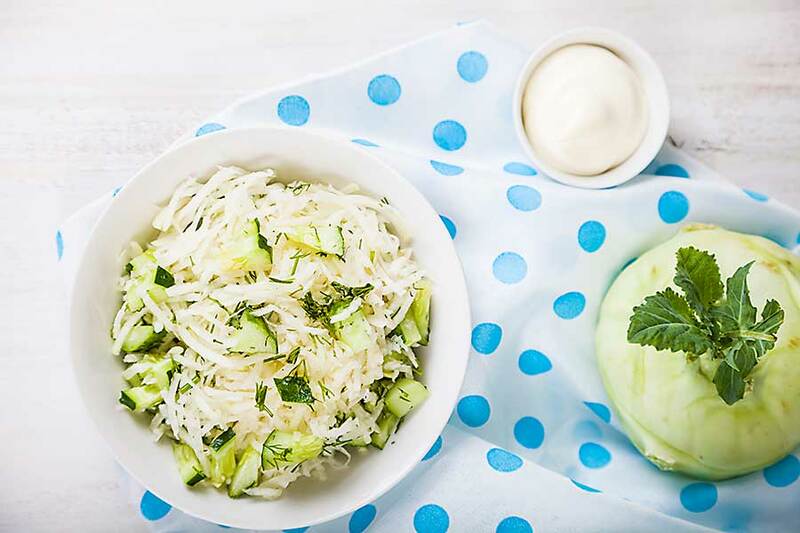 Kohlrabi is characterized by a large nutritional value and antioxidant content. It provides vitamins (from group B, C, K, beta-carotene) and mineral salts (calcium, magnesium, iron and phosphorus). 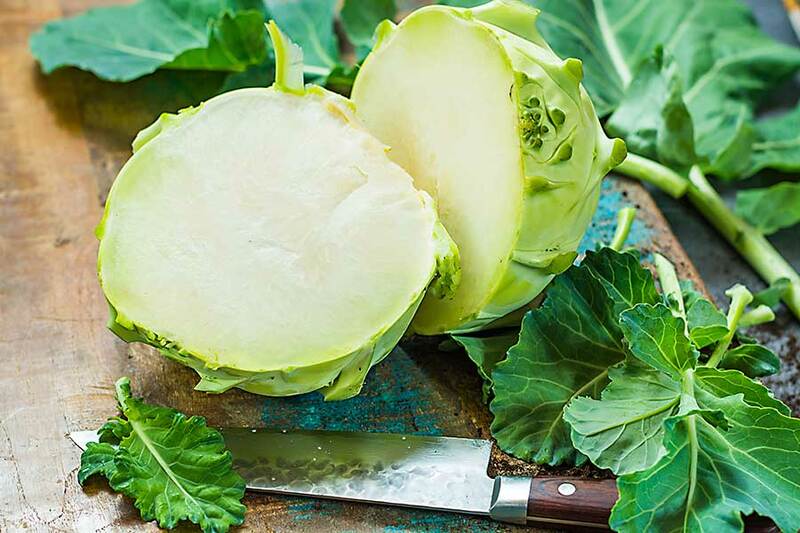 Just one medium-sized kohlrabi head covering the daily demand for vitamin C also contains lutein necessary for the proper functioning of the eye.